LOVE IT! 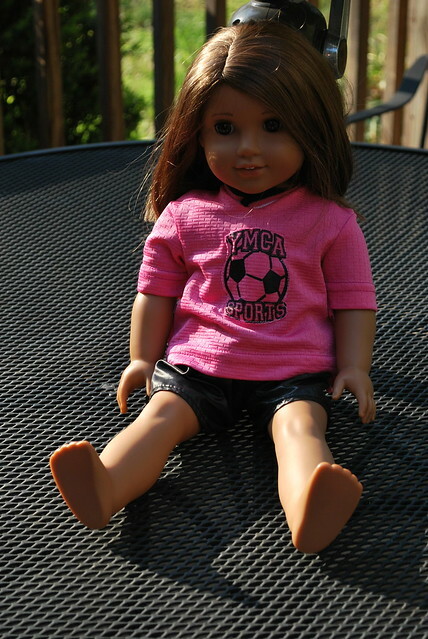 We have the soccer uniform from the AG store...but this one is even better since it is FROM her uniform. I found a doll pattern that I bought when Joann's was going out of business about 5 months ago...and since Em's bday is coming up thought I should try to make something for her doll. Yes. Get right on that. This came out cute. Very clever mom!